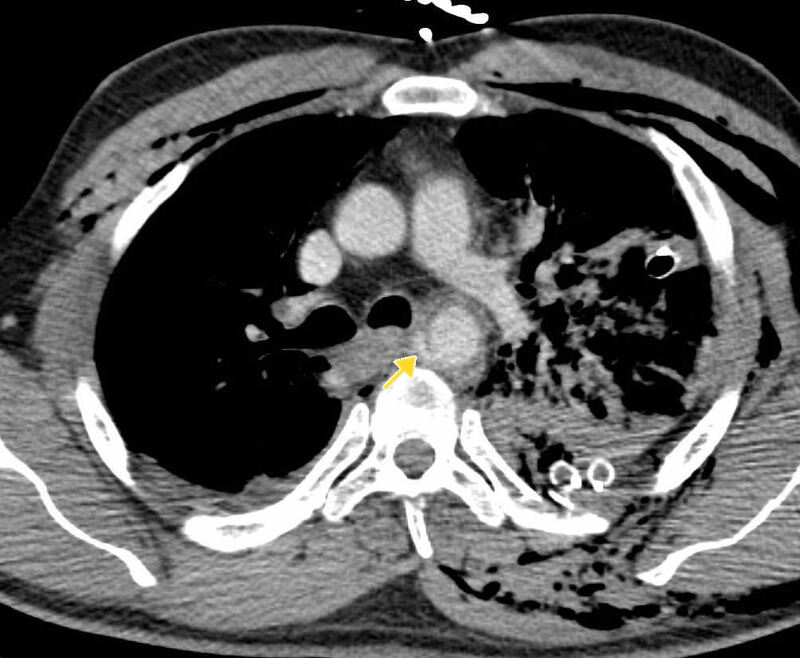 This pathway provides guidance on the imaging of adult patients with chest trauma. 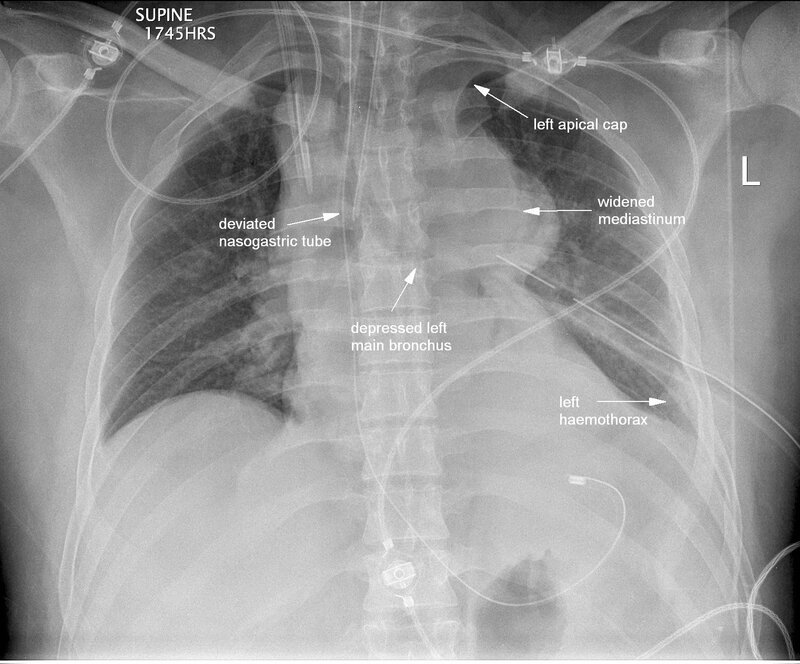 Image 1 (Chest radiography): The classical radiographic signs of a traumatic disruption of the aorta are shown including a widened mediastinum, depressed left main bronchus and left apical cap. 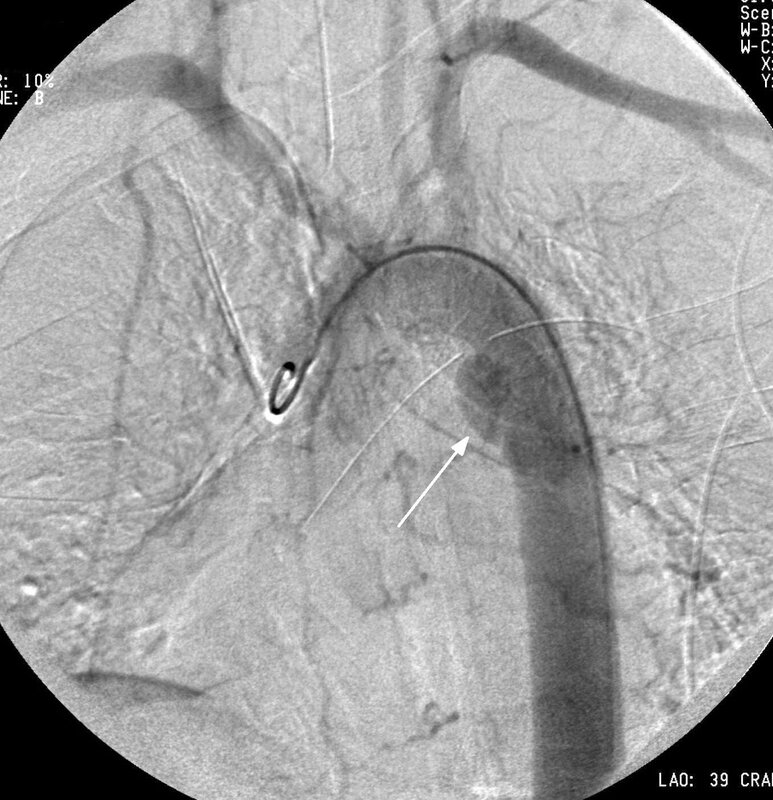 Image 2a, 2b and 2c (CT Angiography): Evidence of an intimal flap and full-thickness rupture of the thoracic aorta at the level of the aortic isthmus (arrows). 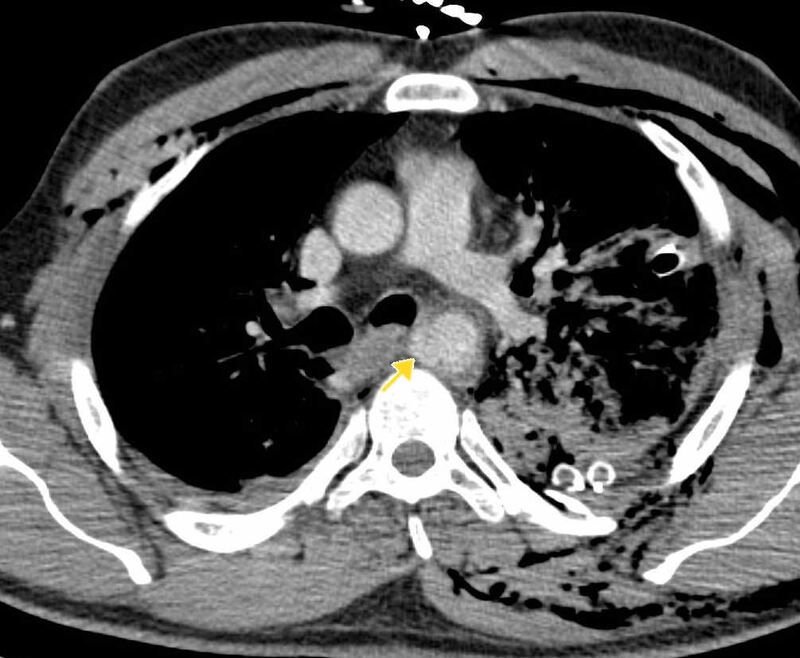 Subcutaneous emphysema is seen bilaterally with contusions to the left lung. 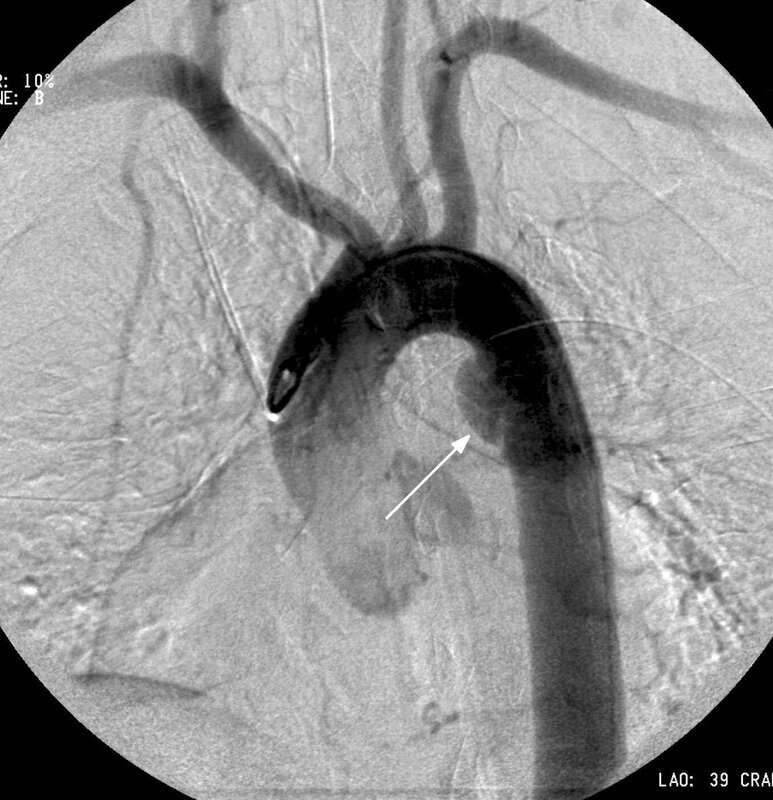 Image 2d and 2e (Aortography): Aortic rupture is confirmed by evidence of delayed contrast flow in the region of the aortic isthmus (arrow) which is best seen in image 2e, where the area of injury retains contrast and appears darker compared to the rest of the aorta. 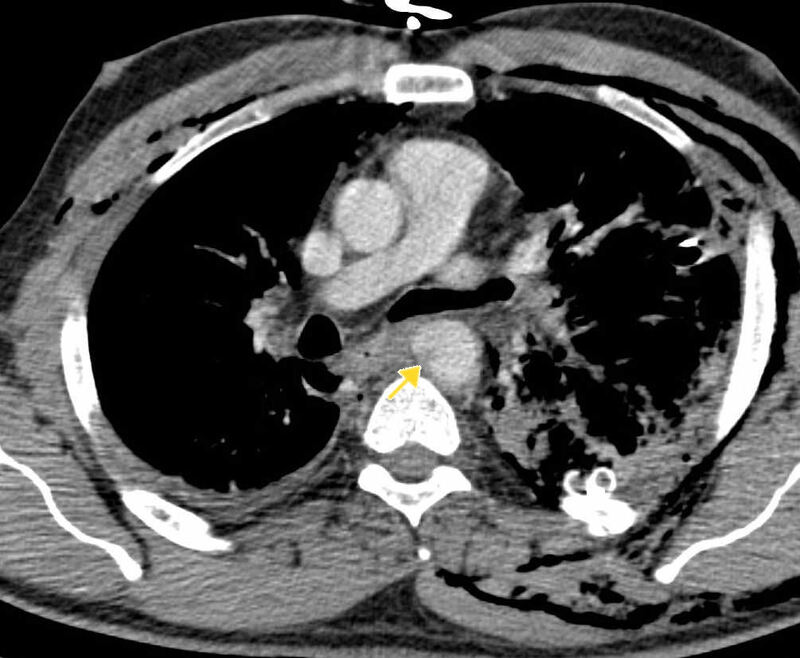 Omert L, Yeaney W, Protetch J. Efficacy of thoracic computerized tomography in blunt chest trauma. Am Surg. 2001;67(7):660-4. (Level II evidence).